Beyond Ergo goes beyond the accepted ideas of office ergonomics training because the modern office workplace is too complex for the traditional office ergonomics checklist and occasional workstation assessments. New open plan offices, activity-based or hot-desking options, sit-stand workstations, telecommuting, multiple screens (including personal phones), and new health risks associated with sedentary work have created an extremely complex and dynamic problem for workplace health and safety programs. However, Beyond Ergo has combined the latest ergonomics and wellness research to create a unique, multidisciplinary and interactive training program that builds the new self-care competencies employees need to make educated health, safety and wellness decisions. These are decisions on small adjustments that may change hour by hour to allow for variations in work, work location, furniture and equipment, and even their health on the day. This training combines the strengths of participative ergonomics, vocational education and training, and wellness strategies to build an individual’s knowledge and self-care skills to manage the immediate work environment, workstation ergonomics and healthy work behaviours. The program also ensures training transfer and encourages ownership of personal health, safety and wellness. Beyond Ergo endeavours to reinforce the belief that risk factors leading to discomfort and injury can be eliminated or at least managed and each trainee can protect themselves from injury now and in the future. Founded by Dr Elizabeth Kirk (PhD) in late 2014, the company was initially called Practical Ergonomics but was renamed in February 2018 to highlight the need for holistic, multidisciplinary skill-based training. Training that enables trainees to quickly apply and personalise all the latest recommendations using multiple screens and wherever they choose to work. 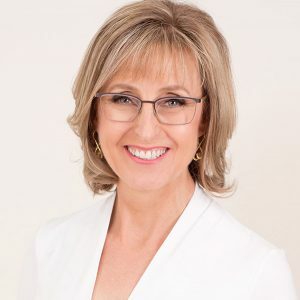 Elizabeth is one of Australia’s leading researchers and trainers in behaviour-based office ergonomics and injury prevention, with a special interest in call centres. Elizabeth started her career with a degree in human movement, before moving into experiential learning, and training and development. Working as an in-house trainer and contact centre agent with a major Brisbane call centre ignited her passion for exploring why existing office ergonomic interventions were not delivering results. Her ground-breaking office ergonomics research resulted in her receiving the Dean’s Award in 2013 at The University of Queensland. Elizabeth delivers her evidence-based office ergonomics training to call centres, government agencies, solopreneurs and businesses across Australia. Click here for our detailed Capability Statement in PDF format. Key Company Facts. Discover how to update office ergonomics training covering modern multi screens and mobile workforce, leading to decreased pain and absenteeism and increased productivity and staff engagement.